Boasting a stylish yet practical design, the Sorel Kinetic short lace boots promise protection from the elements this season. 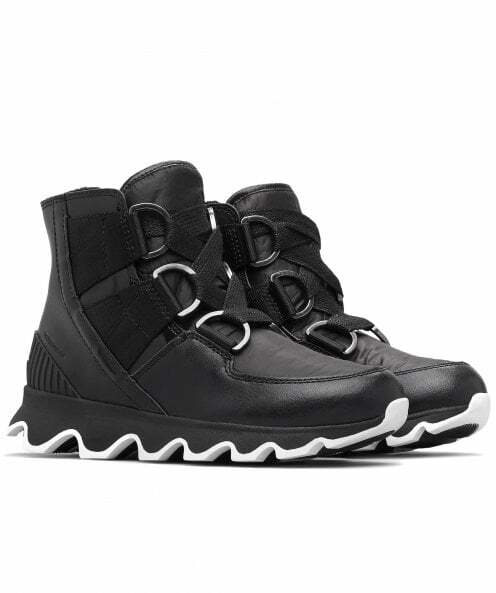 Expertly crafted from a waterproof coated leather and nylon uppers, the boots feature a lace-up fastening, branded detailing and a grooved rubber sole for an on trend sporty-chic design. The microfleece lining and 100g insulation ensure your feet stay cosy and dry throughout the day.